Hartford City of New Britain, Connecticut -20th Century United States. Hartford City of New Britain, Connecticut. Presumed to have been mass manufactured by The Stanley Works, USA. From the instant the earth provided a home for life, the oceans have been traversed. They span the bulk of our planet, and have facilitated the movement of entities as majestic as the ancient whale, and as current as the cargo ship. Somewhere within this movement, and the masses of things moved: found and lost, wanted and discarded, preserved and broken – is a singular 12cm veneer saw. Manufactured in the thousands (millions?) by The Stanley Works, packaged and shipped out as demanded by consumer enthusiasm – it is a small example of unified pinewood and steel, a few unset teeth and two flush screws. A physical form embedded with utility, a function and a mandate that demands the production of veneers. The saw is available to its user, its function may be implemented as its user sees fit. In this way, it fulfills its one true purpose of utility. However, this particular veneer saw was acquired in the early 20th Century by Mr. van Der Merwe, a collector of tools and a maker of his own. His intention was not to utilize, but to collect and thus it is unclear if the saw ever reached its production mandate. Rather, in its collector’s grasp, this singular saw became surrounded by thousands of others, with something of the same embedded functionality. A continuously dormant necessity to make. To saw, or to hammer, to bend or shear or screw or flatten. Each of these instances of dormant functionality are in accordance with the museum’s conservative intention. If you were to imagine the thousands of tools that are the veneer saw’s companions, all of them meticulously boxed and catalogued. Thousands of clean, potentially unused mechanisms for making, all of them still and waiting. This cleansed and temperature regulated environment is almost inevitably in stark contrast to the environment of the average garage, arguably the tool’s natural habitat. The moment they were acquired by Mr. van Der Merwe, their functionality narrowed – now their only purpose is to be observed, conserved and studied. They are potentially frozen renditions of time. Yet, arguably in consistent pursuit of their purpose. If you were to pick up the veneer saw, and endeavour to produce a veneer – it would likely still facilitate that aim. The van der Merwe Tool Collection is housed at the Iziko Social History Center, here our Veneer Saw is 1 in 5000. That is, 5000 tools were collected, and 5000 variants of utility lie in dormancy. These are 5000 moments of acquisition and curiosity. The veneer saw is unique within the confines of its resident collection, a lonely example of its kind. Veneering, as its core function, is the process of overlaying millimetre thin sheets of expensive wood over a thicker segment of cheaper wood. A façade by all accounts, perhaps not unlike the notion that a veneer saw – in absence of veneers – is not a veneer saw at all. The collector Willem Jacobus van der Merwe developed his appreciation for tools through his father and built on the existing collection that his father initiated (personal communication, 14 August 2018). 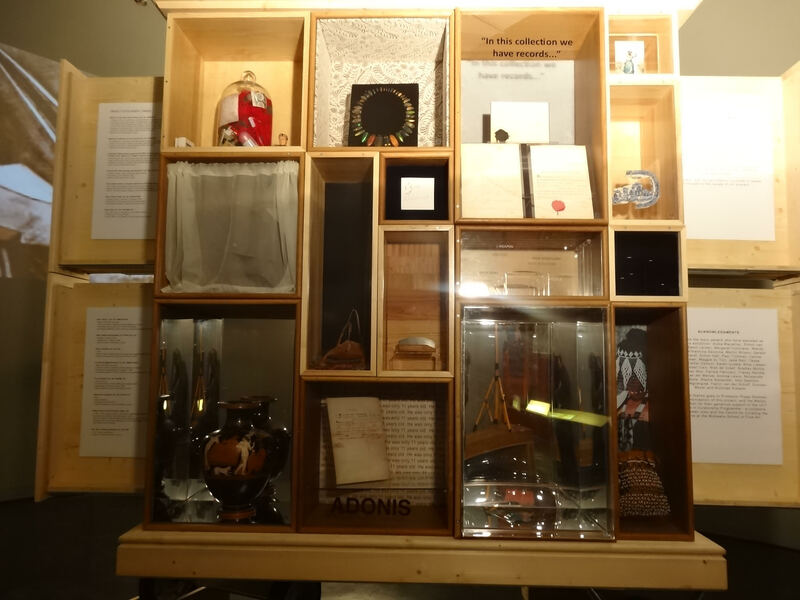 The collection comprises approximately 5 000 objects and includes replicas, made by a collector, of ancient tools Van der Merwe had studied but was unable to obtain. Some tools associated with the collection are user-adapted, or store bought and altered to suit a specific function (Van der Merwe, pers. comm.). Approximately 1 000 planing tools make up the bulk of the collection and include models from ancient Rome. There is only one example of a veneer saw in the entire collection, and much of the reading material provided by the curator lacked specific detail with regard to its characteristics or function. 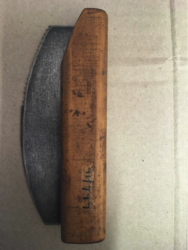 The curator’s reasoning for the Iziko Social History Centre (ISHC) having only one example of a veneer saw was that it was fundamentally affected by collection strategies and processes (Van der Merwe, pers. comm.). The object was presumably manufactured by the Stanley Works in the early 20th century (Van der Merwe, pers. comm. ), but the specifics of its making are a mystery. The Stanley Works is an American company and tool manufacturer that has been active for approximately 170 years (Stanleytools, 2018: online). During their rise in popularity from the late 19th and into the early 20th centuries, the Stanley Works acquired and absorbed multiple companies and patents – a perhaps well-known example is the Stanley planing tool. In 1869, Stanley purchased Bailey, Chaney and Company and thus acquired the right to manufacture tools and implements under Bailey’s patents (Stanleytools, 2018). In woodworking, veneering is the process of covering an inexpensive wood with a higher quality and potentially more expensive thin, wooden sheet (Rockler, n.d.). This form of wooden sheeting is typically a fine wood overlaid onto a coarser grain and is usually 3mm thick. The finer wooden surface is laid out and glued down, but techniques have shifted and changed over the centuries, and examples of a veneering process have been discovered from as far back as 5 000 years ago (Rockler, n.d.). Veneering is used in a variety of applications, e.g. in furniture and shelving to provide an affordable exotic wood finish for those who cannot afford the hardwood alternative (Rockler, n.d.). It can be used to identify socioeconomic differentiation, specifically for years about which such information is less accessible. The majority of veneer over the last two centuries has been mass manufactured in factories across the globe. 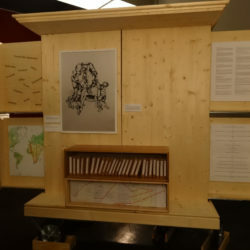 It may be argued that examples of veneer exist in collections all over the world, perhaps in those of the ISHC as well. In contrast to the size of the veneer saw in question, 12.7 cm to facilitate a few meters of veneer, it seems a particularly remarkable feat that requires skill and dedication. That said, this particular object does not relate to the process of furniture making, but more specifically to veneer cutting (Schmidt, 2018). A potential veneer is placed on the cutting line of a flat table top, a ruler is attached with clamps and the veneer saw is pulled along the ruler (Schmidt, n.d.) – much like the process for cutting paper or board with a craft knife. On the contemporary mass-produced stage, this process is conducted by machine and the resulting veneers vary in thickness from 0.3 to 0.6 mm. Tools are defined by their function and are designed and manufactured to ensure a particular, systematic outcome. They are bought with instructions for care to ensure that their functional capacity is maintained. However, our particular veneer saw is not contemporarry and may have transcended its assignment of functionality to assume a new mantle of use – one of historical significance, perhaps in defiance of the mass-produced object. If it was indeed manufactured by the Stanley Works, it is plausible to assume that others like it exist in multitudes and in varying states of conservation. Yet this particular saw has been dormant for decades, at least since the moment of its acquisition by Mr. W. J. van der Merwe (pers. comm.). In some cases, a mass-manufactured tool does not fulfill the exact needs of its user and is altered to achieve the desired effect. This results in a variety of customised tools that are in some sense indicative of their users’ intentions, reminiscent of their interpersonal associations with human hands and their individual needs. The Van der Merwe Collection boasts multiple examples of such user-specific tools. What makes the veneer saw so rare, within the context of the ISHC, is that it is the only one of its kind housed in the collection. The Van Der Merwe Collection is a clustered and plentiful pool of functions. 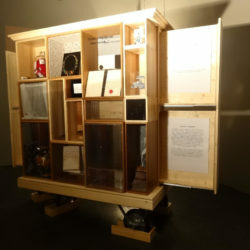 If one considers tools as mechanisms that perform under human supervision – and in further consideration of the fact that their function is the entirety of their purpose and manufacture – there exists an interesting question regarding their newfound purpose, or lack thereof, within the confines of the ISHC collection. If the purpose of a tool is defined by its utility, then might a tool in an institutional collection not in fact be a tool at all? Bereft of function, might it become something more ambiguous, a condensed system of history, narrative and ownership? The tools that have been altered by their users are perhaps a keen example of this ambiguous state, if only in physical appearance. A tool that has been altered, now decontextualised, may become unidentifiable to the secondary party. When its function becomes unclear, perhaps so too does its identity. A veneer, in some sense, is a façade, a declaration of quality that hosts an underlying potential for deterioration. Perhaps an example of this is the melamine cupboard, which is sturdy and generally reliable until it gets wet. This is an example of contemporary, mass-manufactured veneer, in which the veneer itself is predominantly plastic and the underlying wooden surface is made of a variety of wooden remnants and chips. 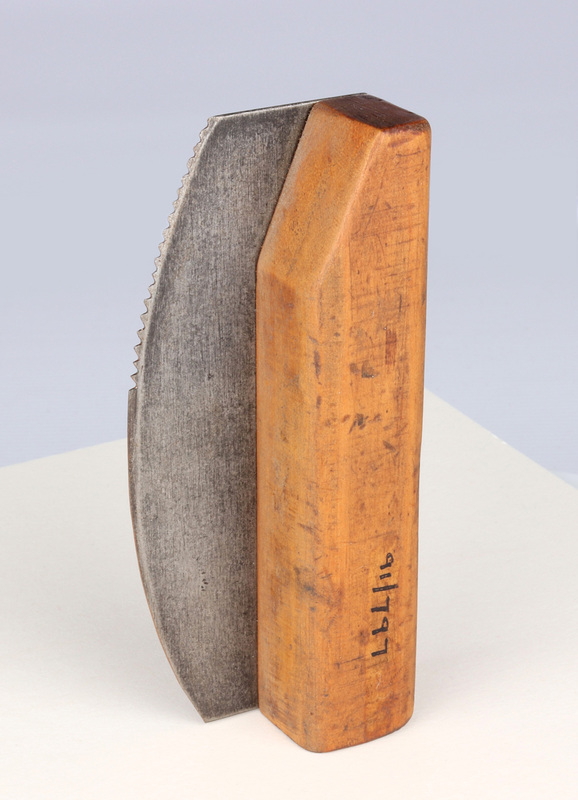 At first glance, the saw is potentially ambiguous – it is small and unassuming, with a curved blade and small, serrated edge with teeth that are not set (Van der Merwe, pers. comm.). It does not host a Stanley Works logo or associative branding. The saw can be held in one hand and has a pine handle sized for this purpose. There is an interesting dynamic between the notion that the saw is predominantly wooden and that it may be utilised in woodworking. The materials are cultivated, grown and fed into a system of manufacture. In practical terms, this is sensible, as one facilitates the other – but in the institutional context, it does seem to emphasise the idea that artefacts are made (Candlin & Guins, 2009). Organisms grow, and much like collections they begin at a point of necessity or coincidence and develop into a more complex and mutation-prone entity (Candlin & Guins, 2009). 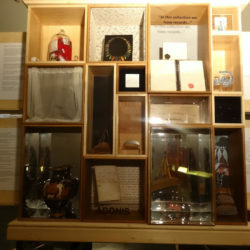 Artefactual status is arguably assigned, and this occurs when objects (regardless of which) are drawn into institutional orbit and land in a pool of taxonomically similar objects (Candlin & Guins, 2009), where they are allocated a number, a card and a title and are preserved in the condition they arrived in. The veneer saw was arguably treated no differently, a mass-manufactured blip on the massive scale of the Stanley Works, a potentially coincidental encounter with Van der Merwe’s curiosity, association with a thousand planing tools, donated to a museum and –wham– an artefact is made. An artefact cultivated from a thing. Merely a thing prior to it being old or new or considered at all. All this and it is so small, utilised to manufacture something larger, and now housed in the Van der Merwe Tool Collection. An unforeseen trajectory that the saw’s manufacturer would not have considered. That said, it would be interesting, in the arc of a tool/non-tool’s life story, to consider how much would better be described as a human narrative, an imprinted narrative placed by its respective owner. 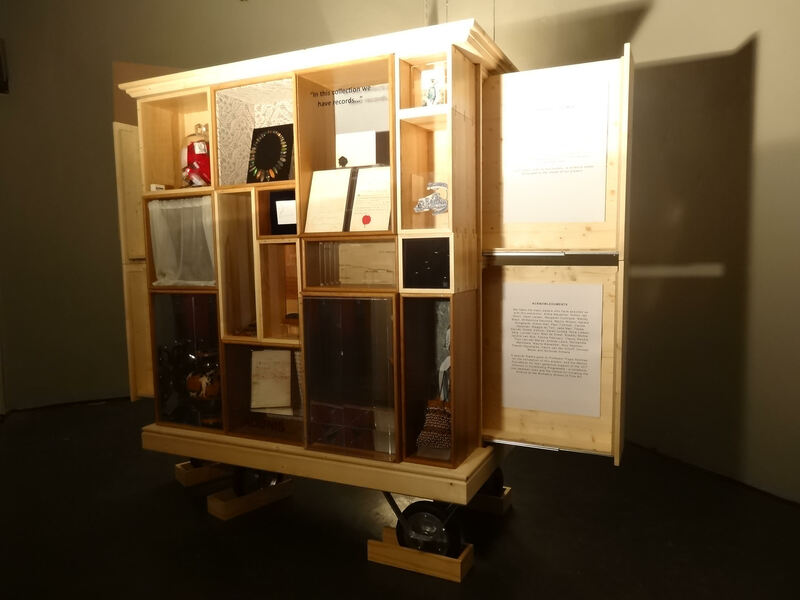 From one hand to another, and from one consideration of value to none at all, as is perhaps customary in the politics of collecting and curatorship. To return to the idea of the defunct tool as being bereft of definition, perhaps there is a secondary notion of utility: What might an analysis of a veneer saw uncover about the wood it has cut or the hands that once held it? What might a splinter indicate about the tree it was cut from? And, in the event it indicated little to nothing, what does it mean to preserve a tool never used for its original purpose. Would it be less of an artefact than the saw so worn from use its teeth are degraded? 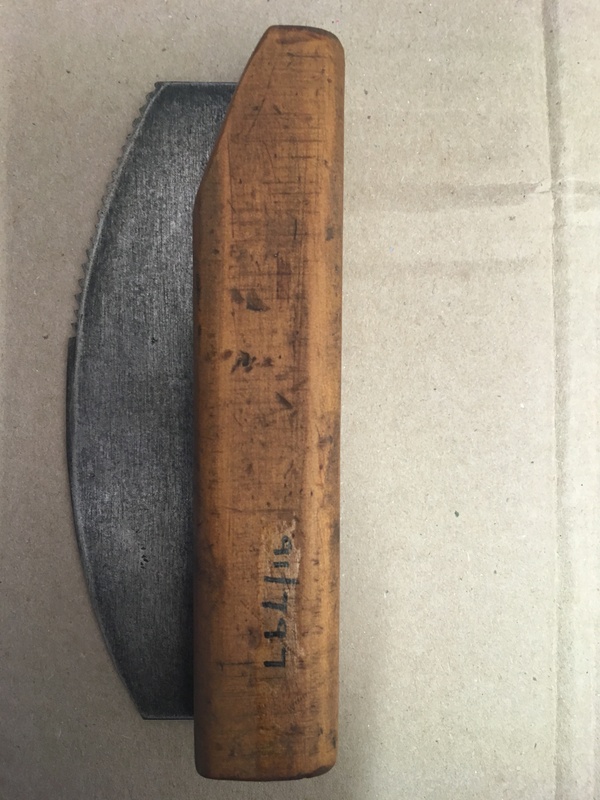 Saws are historically ambiguous, as their core function is to be utilised for a process that relies heavily on friction and pressure – the blades and the accompanying teeth degrade over time and are thus troublesome to anchor in time (Proudfoot & Walker, 1984). It is unclear, therefore, where the original design and functional idea originated. However, there is speculation about a number of saw-like inventions dating back to Neolithic times, as well as a number of flint tools with a serrated edge originating in Palestine, north-west Europe and Egypt – the tentative consensus is that they were a primitive form of scythe or knife (Proudfoot & Walker, 1984). The veneer saw is a small, unassuming and singular entity in the network of woodworking tools that make up the Van der Merwe tool collection. 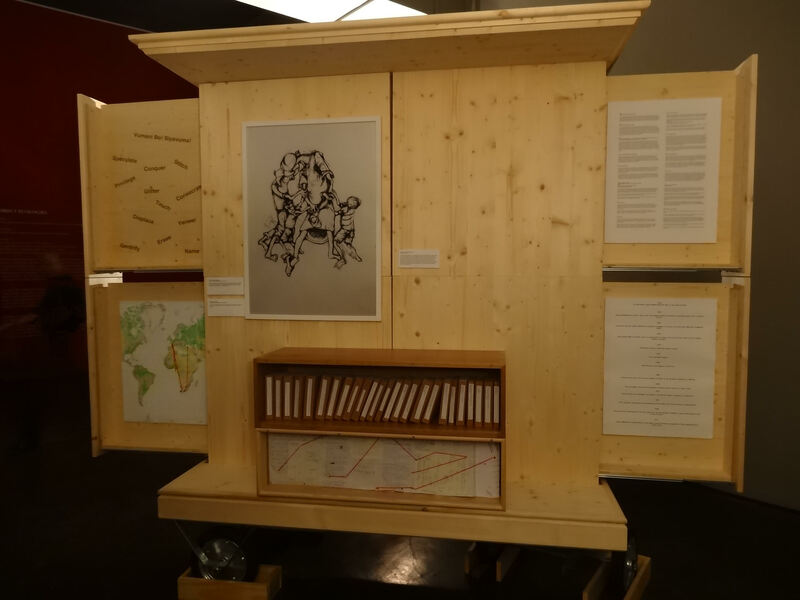 It is the embodiment of multiple interpretations, arenas of interest and is a dynamic example of what an object may evolve into once assimilated into the museum. It poses question of authenticity: if it has never been used for its core function, the reason for its making, is it really a tool? Despite being surrounded by thousands of other objects, its singularity seems in defiance of the collection process, and its ambiguous nature seems to allow for the telling of a narrative that is likely embedded in speculation and fiction, yet evocative and informative. An argument may be made that the veneer saw is a prime example of the entirety of the collection. As one of thousands, it represents thousands of potential narratives, the likes of which may surpass the collector, the curator, myself and the institutional umbrella as a whole. Somehow, our curiousity about this small, inconsequential thing-now-artefact allocates it power, and that power may just be in its fiction. Dieter Schmidt Fine Tools. n.d. Traditional Veneer Saws. Available: https://www.fine-tools.com/furniersaege.html [8 September 2018]. Proudfoot, C. and P. Walker. 1984. Christie’s Collector Guides Woodworking Tools. Oxford: Phaidon. Rockler. n.d. Introduction to Veneering. Available: https://www.rockler.com/how-to/introduction-veneering [8 September 2018]. Stanleytools. 2018. Proudly Building America: History and Milestones. Available: https://www.stanleytools.com/about/milestones [8 September 2018]. Proudfoot, C. & Walker, P. 1984. Christie’s Collector Guides Woodworking Tools, Phaidon, Oxford. Stanleytools, 2018. Proudly Building America: History and Milestones. Available: https://www.stanleytools.com/about/milestones [2018, September 08]. Schmidt, S. 2018. 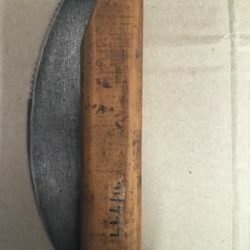 Traditional Veneer Saws. Available: https://www.fine-tools.com/furniersaege.html [2018, September 08]. Rockler, n.d. Introduction to Veneering. Available: https://www.rockler.com/how-to/introduction-veneering [2018, September, 08]. C. Struik Publishers, Cape Town; 1987 Town furniture of the Cape, C. Struik Publishers, Cape Town. Grotz, G. 1969. The furniture doctor, Herbert Jenkins Ltd, London. Hayward, C.H. 1967. Antique furniture repairs, Evans Brothers Limited, London. Mothes, R. 1992. Do it yourself furniture restoration, The Restorer, School of restoration, Observatory. Nelson, R.E. (Ed.) 1999. Dictionary of American toolmakers, Early American Industries Association. Salaman, R.A. 1975. Dictionary of tools, George Allen & Unwin Ltd, London.